Seeing Disney World from different angles brings you right back to the moment. 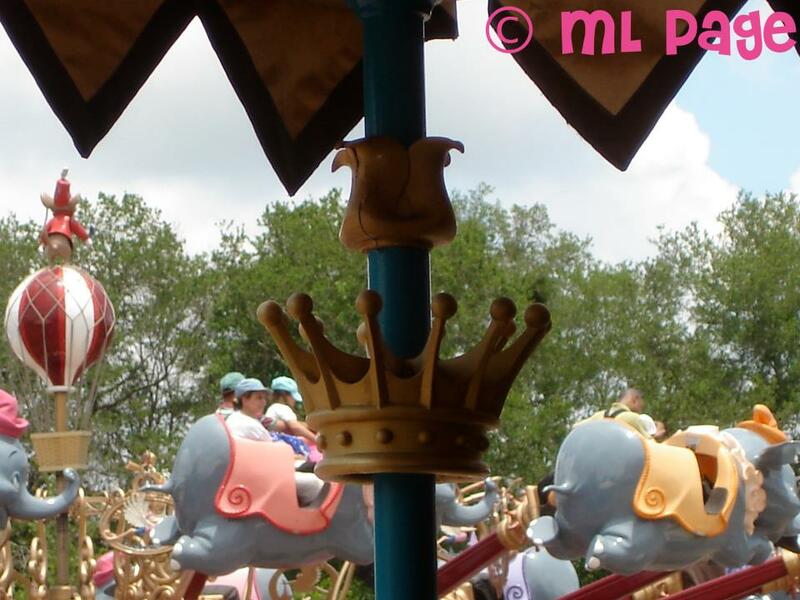 Here I wanted a picture of the crown from Snow White's Scary Adventures queue.... but it turned out to be a very cute image of Dumbo (& Timothy Mouse). I can't wait for the new Fantasyland to open! !